Refer to Cracked Window Warning. Remove the liftgate trim. Refer to Liftgate Trim Finish Panel Replacement. 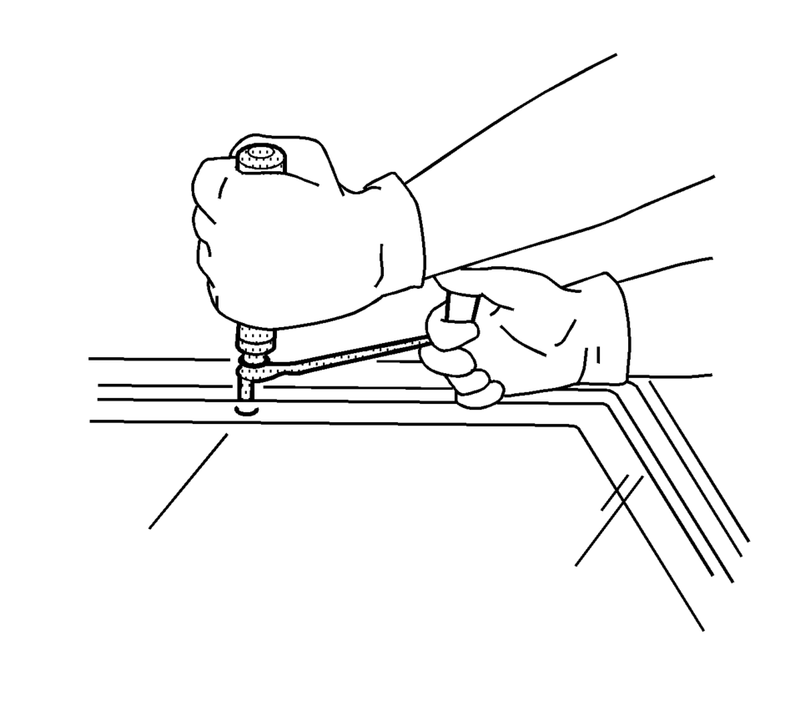 Disconnect the electrical connectors from the liftgate window defogger bus bar. Remove the rear window wiper arm. 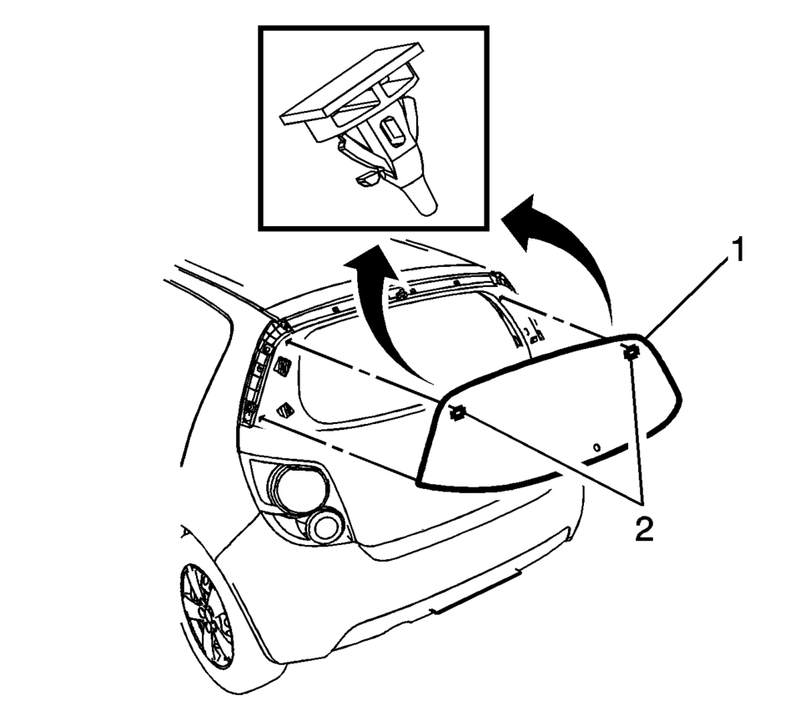 Refer to Rear Window Wiper Arm Replacement. Remove the rear spoiler. Refer to Rear End Spoiler Replacement. Refer to Defroster Outlet Warning. 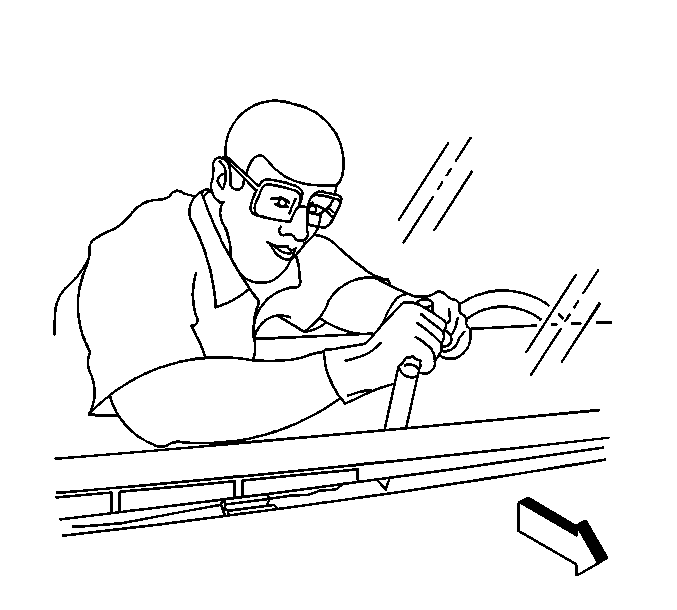 Keep the cutting edge of appropriate tool the against the window. Do this from inside the vehicle. With an assistant, remove the window?€‰(1) from the vehicle. Install the liftgate window into the opening. Refer to Adhesive Installation of Liftgate Windows. Install the rear spoiler. Refer to Rear End Spoiler Replacement. Install the rear window wiper arm. Refer to Rear Window Wiper Arm Replacement. Connect the liftgate window defogger electrical connectors to the bus bar. Install the liftgate trim. Refer to Liftgate Trim Finish Panel Replacement.